I don’t remember exactly how I came across this world of Mini War Gaming. It might’ve been by stumbling into the local Games Workshop store, followed by a couple of searches on google for Warhammer 40k, couple visits to YouTube on the subject and BOOM! before you know it, Google is suggesting all these other sites and other flavors of miniwargames and I’m completely taken in. I began by following just a couple of groups who might easily be leaders at delivering online miniature war gaming content – MiniWarGaming.com and BeastsOfWar.com. There is sooo much content on there to sink your teeth into and explore the variety of miniature games on offer, including tutorials, workshops, battle reports, tournaments and mini war gaming news. MiniWarGaming and BeastsOfWar differ from each other slightly, but the passion and quality of the people and content delivered is very good. So why the attraction? Well, to start with, they’re games, and games are fun. Remember playing board games with friends and family, before computers and tablets existed? Mini war games are board games on steroids, with freedom of movement, no squares hop through in many cases and some can be epic in complexity and scale. Then there’s the modeling aspect which in itself can be half the fun. For some it is mostly about the models, and it’s much more than models, there’s also the terrain! The number of miniature wargames out there is overwhelming, it seems like every week there is a new Kickstarter project for one. One of the most popular mini war game titles comes from Games Workshop – Warhammer (also referred to as Warhammer Fantasy) and Warhammer 40k. The Warhammer titles are just epic in quality and scope of models. The rules and associated texts that complement the basic rule set are equally impressive. Getting started is not difficult and you can take the game from simple skirmishes to epic campaigns that you can play out over days. Another popular title comes from Privateer Press – Warmachine and Hordes. Typically there are fewer models required to get a competitive game going, quality of models is also high and some argue that dollar wise it is cheaper than Warhammer. 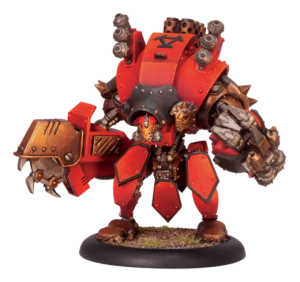 The rules for Warmachine seem more clearly defined with some favoring Warmachine when it comes to Tournament play and with fewer models on the table, game time is typically shorter than for a game of Warhammer. But what about historic style titles? There are also some quality and popular WW2 titles out there, Flames of War and Bolt Action. I haven’t looked into early or middle ages style titles in any great detail, but they do exist. There are many more variations of miniature war games, many of them in sci-fi genre, like Star Wars X-Wing, Infinity and many many others. I can’t list them all here, there are way too many, and there would be more I would’ve never heard of before. Simply google “mini war gaming” to start your own journey. With so many variations of miniature games out there, working out what would suit me wasn’t going to be easy. Over months I watched battle reports, tutorials of some of the more popular ones out there and read through various forums and blogs to try and get an understanding of each one. All very good games, but for me in the end I went with Flames of War for a few reasons. Being 15mm scale, you can build massive amount of armies and models in a small space. The genre is such that there isn’t any sorcery, no demons, freaks of nature, and also having some interest in WW2 history this seemed like a good fit. That’s not to say sorcery and freakish feats can’t be fun, it’s just one of those subjective things. Flames of War was slightly ahead of Warmachine, I quite like the look of Warmachine (not so much Hordes). The War Jacks look cool, I like that steam punk sort of feel, but where it lost me a bit was this concept of managing Focus and using it to boost abilities here and there as well as the fact that if you take out your opponents War Caster, you win and it’s game over, even if you still have most of your army alive. Warhammer 40k is just epic in every way, the models, the fluff, the number of die you have to roll, but keeping up with codex updates, complexity and story behind it all seemed a bit overwhelming. 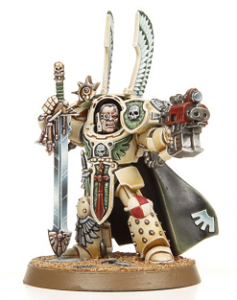 The other thing that put me off Warhammer somewhat is the style of the models themselves. While they’re of very high quality, I found the amount of gore and skulls on the models a bit too much, particularly as I have young children about the house. But some people love the fluff, the complexity, augmenting their models to make them stronger and the epic and brutal feel of it all. While I’ve decided to go with Flames of War, I still enjoy watching battle reports and reading about some of the other titles out there. It’s hard not to appreciate some of the spectacular models and paint jobs as well as their terrain. No one says you have to stick with one particular title anyway, there are many who enjoy more than one. If you’re interested in finding out more about miniature war gaming, like with most things, Google is a good starting place. There are so many titles out there, I have mentioned just a few here. Most of the publishers of these games have good content introducing and teaching you how to get started. Sites like MiniWarGaming.com and BeastsOfWar.com also have a lot of great introductory videos into different titles and regular battle reports so you can see how the different games play and the variety of play styles. Some like to play in a purely competitive style, some like to follow published missions/campaigns and some create their own campaigns. Some will modify the rules to how they like to play or incorporate rules from other titles. The one thing you should not underestimate though, is the effort and time required to paint your armies. But that need not stop you, you can commission others to paint your models for you if you don’t have the skill or time, and some get so eager that they just start playing with the models straight out of the box without so much as an undercoat. So the mini war gaming journey has begun, time to get some models and start painting. This entry was posted in Gaming, Miniature Wargaming and tagged bolt action, flames of war, infinity, miniwargames, miniwargaming, star wars x-wing, warhammer, warmachine. Bookmark the permalink.